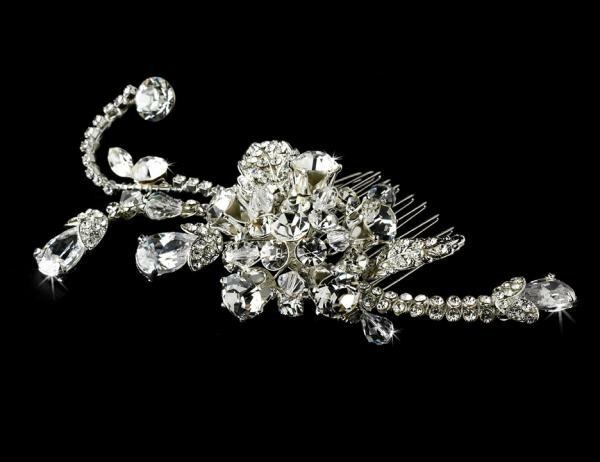 This light catching rhinestone bridal comb features a unique floral design with rhinestone buds and silver leaf details stretching past either side of the piece. 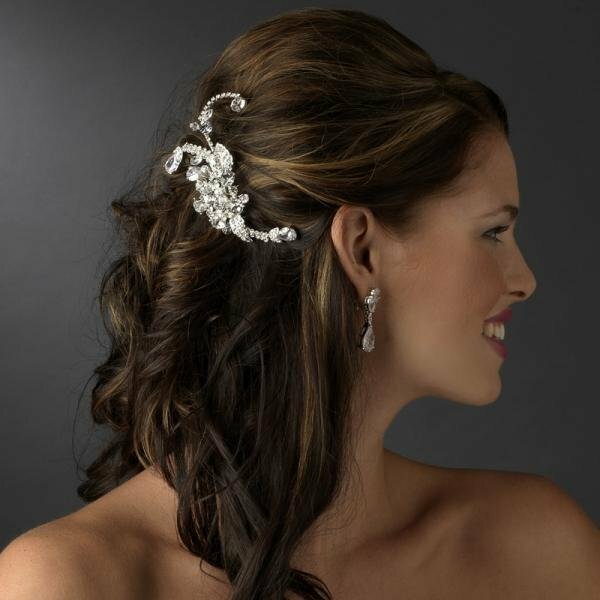 A lovely addition to your bridal hairstyle. Sterling silver plated with Swarovski crystals. Size: 11.5 cm long x 6.5 cm wide.